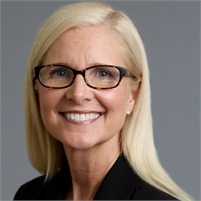 Beth Courtney is a Financial Advisor and founding Senior Partner of Financial Cornerstone Group. She has worked in the financial services industry for nearly 20 years. Along with her wonderful team of advisors, Beth provides investment, insurance, and tax-strategic wealth preservation services. 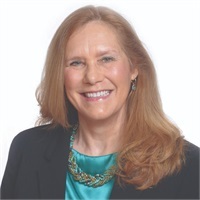 She specializes in serving people who are in or nearing retirement, and women who are navigating life changes such as divorce or the death of their spouse. 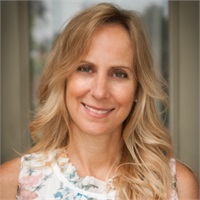 Beth also has a passion to help young adults get started on their path to financial peace and success, as well as to creatively serve the unique needs of fellow entrepreneurs. Currently residing in Indian Harbour Beach, Beth actively assists her community through board service, and through her church where she serves in various ministries and has been teaching Dave Ramsey's Financial Peace University for nearly a decade. When she's not taking care of clients or volunteering, she enjoys spending quality time with her family including three grown children, their spouses/loved ones, and three grandchildren. After spending almost 20 years working with corporations and business owners throughout the US to help them improve their technology infrastructure, Clint decided to follow a life-long passion and join the financial services industry, as a financial advisor, in 2006. Clint brings a diverse background to the firm along with a passion for helping people plan for a high quality of life during retirement, and those intermediate financial goals along the way. 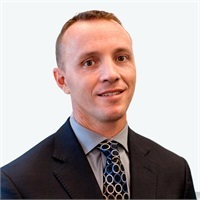 Clint has obtained his FINRA Securities Registration - Series 7, FINRA Uniform Combined State Law Exam - Series 66, as well as the Life, Health, and Variable Annuity Insurance Agent. Clint and his wife Robin are both native Floridians and currently reside in Satellite Beach, Florida, where they are raising their daughter, Jessica. In his spare time he enjoys fishing, playing the guitar and spending quality time with his family. Judie Devitt joined our team in July 2013 as a Sales Assistant. Judie has over 20 years’ experience in office administration. She finds the financial services industry quite interesting and is dedicated to helping the Financial Cornerstone Group team provide a high level of support to its clients. She handles administrative and receptionist duties in the office and is the friendly voice that will greet you when you call or visit the FCG office. Judie and her husband Tom currently reside in Viera. When she’s not taking care of clients, she enjoys cycling, travelling and spending quality time with her family, which includes three grown children, their spouses/loved ones, and one precious grandson. Sandy is a financial professional whose focus is to provide excellent customer service and financial education to meet the retirement needs of those who serve and build our communities – educators and staff in our public schools, as well as employees of non-profit and for-profit organizations via 403(b), 457(b), or 401(k) group retirement plans. Sandy’s personalized approach helps clients to easily understand all the choices they are faced with, including how to navigate the Florida Retirement System (FRS). She offers them the information and confidence they need to seamlessly transition from their employer plan to their own investments, to create the retirement of their dreams. Sandy is devoted to building long-term relationships with her clients and community. Her mission is to educate individuals and business owners, so they can make well-informed decisions as it relates to their unique situation. She helps her clients identify and prioritize their goals, offering strategic guidance specific to their needs, and then establishing a plan that works best for them. Sandy has earned her FINRA Series 7 securities registration and her Life/Long-term Care, Accident, and Health insurance licenses. Sandy is very involved in supporting area schools with her time and treasure. She is active in her community and enjoys serving on the hospitality team of Church at Viera. Sandy is married to Richard Myers, a recently retired leader in the education community of Brevard County. When Sandy is not serving clients, she enjoys spending quality time with her growing family, which includes four adult children, their loved ones, and precious grandchildren. 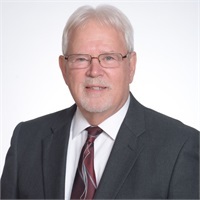 Richard Myers joined Financial Cornerstone Group in January 2018 after retiring from Brevard Public Schools with 45 years of service to his community. Richard works alongside his wife, Sandy Myers, a Financial Advisor, to educate those employed by The Florida Retirement System about the importance of preparing for the vacation of their life. Born in Western Pennsylvania he went to Slippery Rock High School before graduating with a BS in Education from Taylor University – Upland, IN. Richard earned his Master’s in Education at University of Central Florida, Orlando. Richard began his career in Education in Cocoa, FL in February of 1975 as a Social Studies teacher at Clearlake Middle School where he enjoyed working with children in the classroom for 15 years. In 1983 Richard was awarded, “Brevard County Teacher of the Year”. In 1985 he was selected by USA Today as one of the “Top 10 Teachers in the Nation”. In 1987 he was promoted into Administration as an Assistant Principal at Clearlake Middle School and later spent time as the A/P at Rockledge High School. In 1993 Richard became the Principal at Roosevelt School (K-8), later to be appointed Principal at Kennedy Middle School, Rockledge where he served his community for 23 years. During his tenure as a leader in Brevard Public Schools Richard was passionate about impressing upon his staff and anyone else he could influence the importance of saving from the early days of one’s career. He made sure everyone - custodians, cafeteria workers, support staff and teachers - heard how quickly the 30 years go by when you enjoy what you are doing every day, and not to underestimate the importance of having a plan. Richard and Sandy live in Rockledge. They are active members of Church at Viera. Richard is a proud father, step-father, father-in-law and grandfather to a young growing family. With 17 years of experience in finance and banking, Derek has served clients through complex financial transactions. 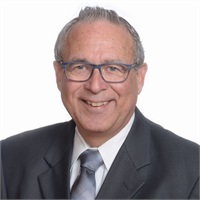 Through his long career and years of experience, he has had numerous opportunities to serve his clients and provide financial advice in all respects. Furthermore, he has found that Cornerstone Financial Group matches his core beliefs of upholding honesty and integrity in both his personal and professional life. Derek and his wife Deanne live in Melbourne together with their two teenage boys, Jordan and Caden. In his spare time, he is an active member of the Church at Viera as well as a coach and board member at Space Coast United Soccer Club. 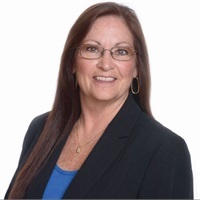 Rosita Cotton is proud to be part of the team at Financial Cornerstone Group and brings with her a wealth of experience in the fields of accounting, insurance, and education. Her true passion is helping individuals and families with their finances, and she is especially proud of her work with women on their own who need to plan for themselves and their families. 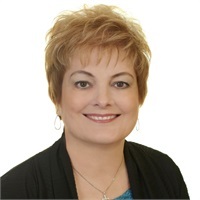 Whether your concerns are with understanding finances, protecting your family, social security, mortgage protection, or retirement planning, Rosita skillfully guides you to finding the right path for your individual needs. She treats each and every client with care, concern, and respect. Rosita holds a Bachelor’s degree in Business Administration with a major in Economics from Rollins College. 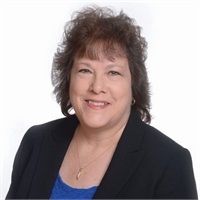 A resident of Brevard County for over 30 years, she is actively involved with many volunteer, social, and professional organizations including the American Cancer Society, the Melbourne Regional Chamber of Commerce, and several church and networking groups. Jim Herzog is originally from Rochester, New York and has been in the financial services industry for over 40 years. In 1991 he moved to Melbourne, Florida and started his own business, Capital Concepts. 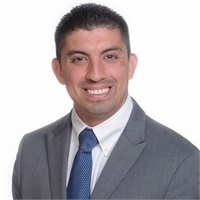 His goal is to serve the needs of clients by providing a proactive approach to building and protecting assets through educating clients and introducing various options and strategies. Jim has a number of licenses including Series 7, Series 66, Series 6, Series 22, Series 24 (Principal’s License) and Life, Health, and Variable Annuity Insurance. He is married to Suzanne…. see below! Suzanne is married to Jim Herzog (since 2014) and has worked alongside him as his assistant and office manager since 2012. They live in Rockledge. She handles administrative duties as well as client support and seminar coordination. She is also insurance licensed and helps clients navigate the overwhelming decisions to be made when signing up for Medicare and/or supplements. Her previous experience as a medical assistant is a benefit to helping others understand the system. Suzanne has lived in Brevard County for 50 years and graduated from Satellite High School. She has a passion for people and animals (she was also a vet tech!) and loves the outdoors. Between them, Jim and Suzanne have five children, ten grandchildren, a large extended family (and classmates!) and are involved with all things involving family, friends, and Cross Bridge church. Bill Drexler has been in the Financial Industry for over 5 years. Bill holds the philosophy that proper financial education and partnership toward financial success can alleviate many stresses and uncertainty, allowing us to focus on family, career and friends. He has taken a personalized approach to forming multigenerational relationships with his clients. Bill's focus and passion are two fold: 1) Helping young families get off to a a great start by ensuring they have the proper knowledge and tools to protect their family in the short term, and ensure continued success throughout their careers and into retirement; 2) Specializing in serving people who are newly retired or nearing retirement, navigating the decisions regarding 401k rollovers, Social Security, Medicare, etc., and developing strategies to make assets and income last for perhaps 20, 30 or even 40 years. When he's not working, Bill enjoys spending time with his dog Max and other family, going to the beach and playing guitar, along with volunteering in the Local Brevard County community. Bill's motto is "Personal Freedom through Financial Success." Rick Bedford is new to our team. He served in the U.S. Marine Corps for nearly 26 years as a logistics officer, and most recently, as a civilian Human Resources director with the U.S. Air Force. 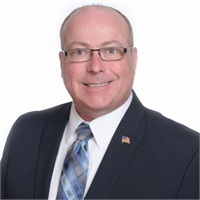 Rick is well-versed in the areas of military retirement, the Civil Service/Federal Employees Retirement Systems (CSRS/FERS), the government’s Thrift Savings Plan (TSP), as well as VA benefits for members and spouses. He has a desire to help teach military and other families how to avoid financial pitfalls and get on a solid financial plan. Rick and his wife Tina currently reside in Viera, and enjoy helping those in their community, mostly through various ministries of their church, including Family Promise® of Brevard, the Children’s Hunger Project, and Dave Ramsey's Financial Peace® University. They enjoy traveling on cruises and visiting their grown children in Virginia. Rick is an avid sports fan, particularly of College Football. Kim is new to our team and provides support in the areas of database management and marketing. She has an “eye” for continual process improvement and looks for new ways to enhance advisor-client relationships. Kim brings an eclectic mix of technical and creative skills to the team, drawing from 30 years of combined engineering, project management, education and website/social media marketing experience. Kim and her husband Mike currently reside in Merritt Island where they enjoy the outdoors, spending time with their adult daughter, volunteering in their community, and leading small groups as part of various ministries. When she’s not serving in these various areas, Kim enjoys ground and aerial photography/videography, especially flying drones.